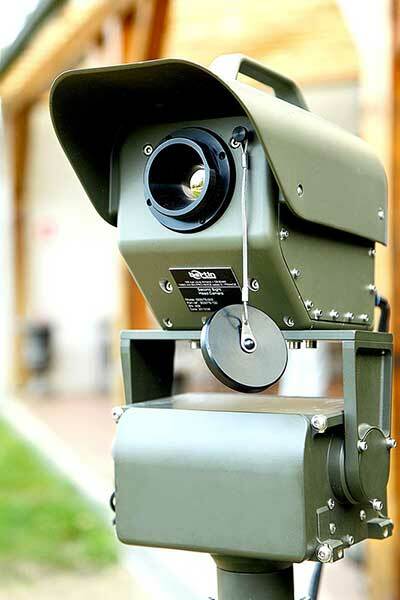 The Second Sight MS is a passive, long range chemical and toxic gas clouds detector that is ideally suited to military and civil security operations due to its compact, lightweight and modular design. 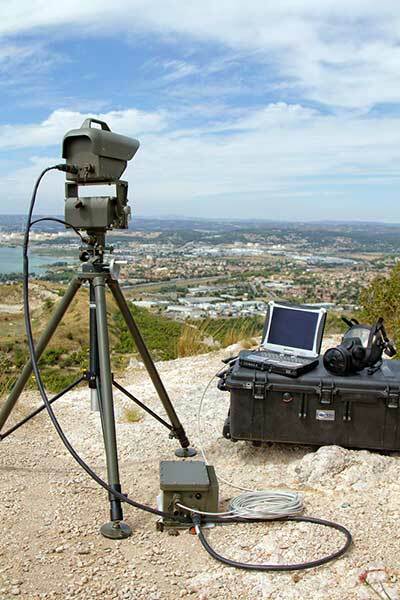 It has been designed for early warning and real time visualization of suspicious gas clouds. 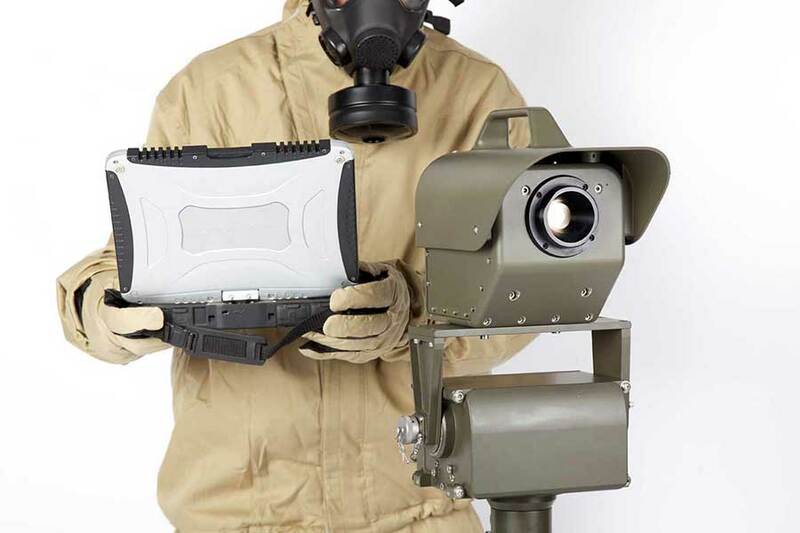 With its infrared sensor, it shows as an overlay the localization of dangerous gases such as toxic industrial gases or chemical warfare agents (nerve gases or vesicants). 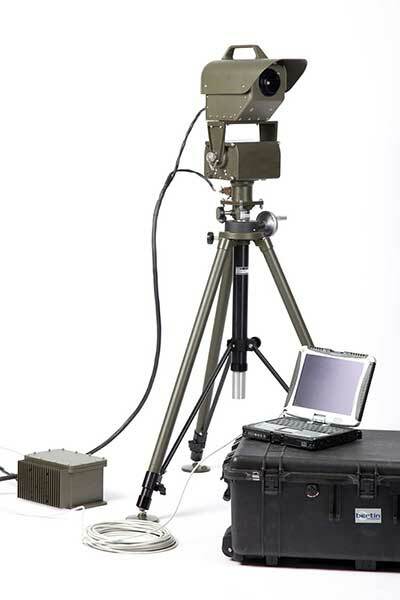 Second Sight can identify the family of the gas and measure its path length concentration. 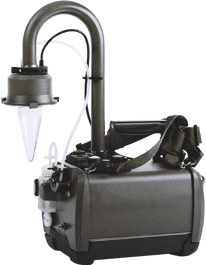 With its unique gas X feature, it also detects gases that are not in the database, which is ideal when gases are impure, mixed or unknown. 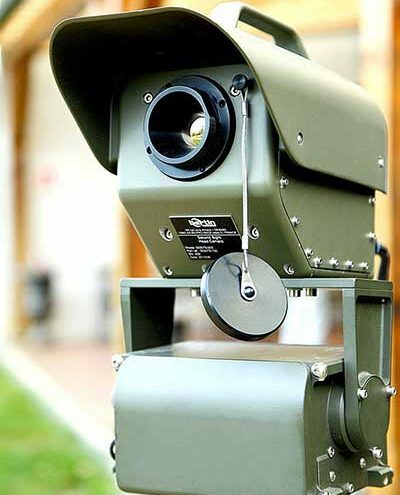 With a night and day infrared imaging capability and the largest Field of View (FOV) of any stand-off detector in the market, this tried and tested system is a clear favorite with military forces, law enforcement agencies and emergency responders around the world. Each gas has its own absorption spectrum and presents typical absorption peaks in infra-red bands II (3 to 5 µm MWIR) and bands III (8 to 14 µm LWIR). Second Sight operates in band III, in order to use the particular peaks to enable the identification of a vast majority of gases. 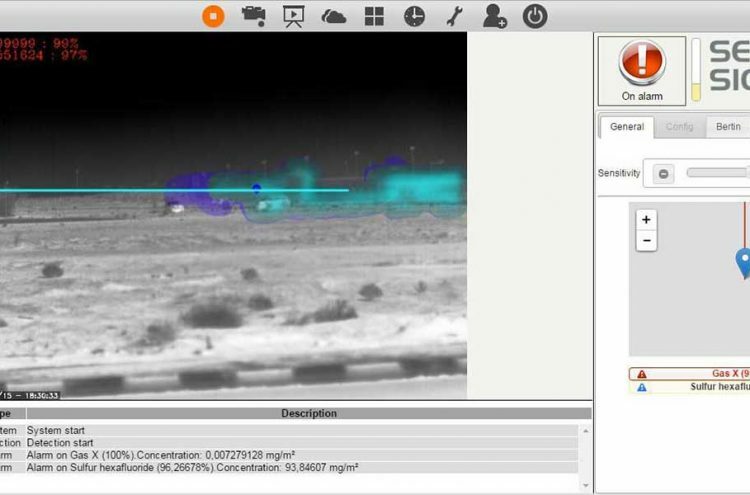 The Second Sight measurement principle uses the scene background as an infra-red source, and image processing algorithms to highlight the presence of a gas cloud in the line of sight. In the event of an alarm, the presence of a gas cloud is displayed as an overlay on the infrared image. The identification and estimated path length concentration are given in the top left corner and the gas is underlined in red in the gas list. 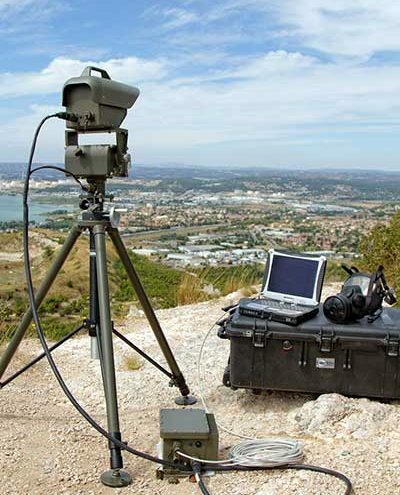 The latest version of Second Sight is becoming a universal gas detector with its new detection algorithm Gas X, an unknown gas detection capability that enables the detection of any gas cloud modifying the infrared signature in band III of the observed scene, even if the gas is not listed in the system’s database. The vehicle mounting is a mechanical interface to easily attach the head camera with its pan & tilt on the roof of any vehicle. The GPS coordinates of the Second Sight is given in the Graphic User Interface. It highlights the area of surveillance on a map. 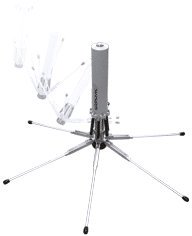 Integrated with a compass, it also gives the direction of the Second Sight when used with Pan & Tilt. 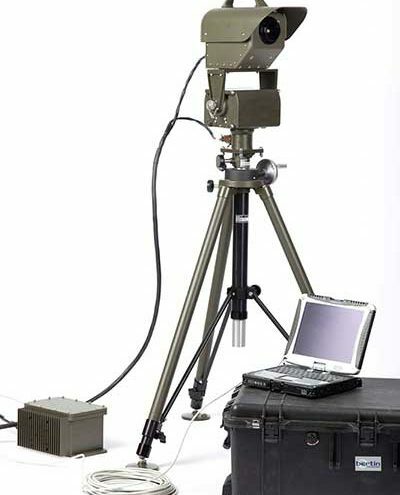 The only standoff gas detector for real time surveillance and with source localization. Second Sight MS is a passive, long-range chemical and toxic cloud gas detector; it is ideally suited to military operations due to its compact, lightweight and modular design. Second Sight MS is implemented on building roofs for large-area monitoring. Remote monitoring from the security room ensures an early warning to target the response action. 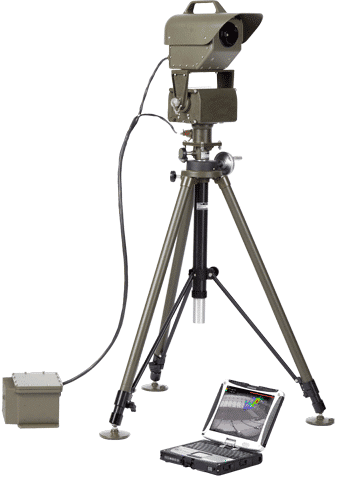 Second Sight MS is deployed in the event of an accident to detect a gas leak at a long distance and prevent first responders from going into the field without knowing what they are facing.